) (cps‘ close association with Evapco Europe BVBA make us the quickest delivery of replacement coils irrespective of the original equipment manufacturer. 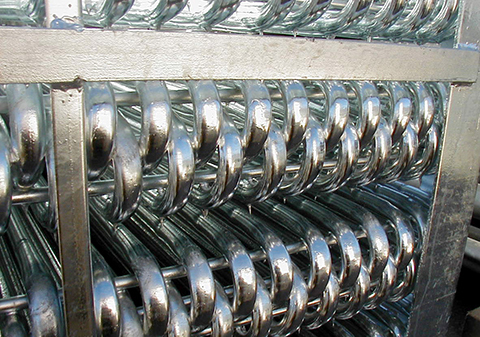 If coils are required for evaporative condensers or closed circuit fluid coolers we can provide both Hot Dip Galvanised and Stainless steel coils.
) 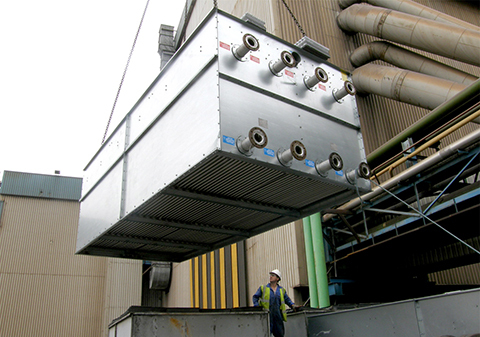 (cps can also offer the unique Thermo-Pak coil configuration which is staggered in the direction of airflow and oval in cross section, this results in very high heat transfer coefficient and optimum efficiency. All coils are subject to tight quality control and compliant to the European “Pressure Equipment Directive” (PED) 97/23/EC and provided with certification.